Take charge with a Headway Capital business line of credit. Business financing is crucial for any company. As any small business owner knows, opening and running a business isn't cheap. Even when things are going well, owners might need large amounts of money over the short term to finance things like location expansions, equipment purchases and seasonal inventory management. When current cash flow isn't enough, those owners will turn to business financing to get the funds they need. Read on to see some common ways that businesses get access to additional capital. 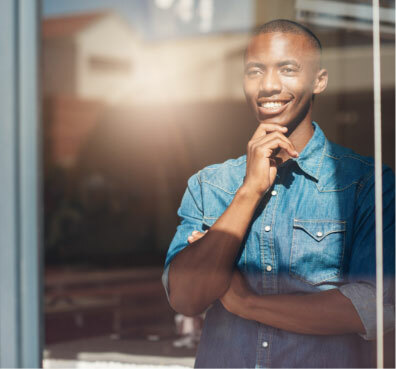 With a myriad of business finance options available to small businesses, it’s difficult to know where to start looking for funds. We’ve outlined six different business financing options below for you to consider. Factoring is a distinct financing option from a traditional bank loan or a revolving line of credit. You essentially “sell” any outstanding invoices to a factoring company, who then forwards you a portion of the money owed. The factoring company will send you the rest of the money owed once the customer pays the invoice. Factoring is a solution for businesses that are often stuck waiting for large client invoices to be paid, helping them to boost their cash during the waiting period. However, factoring fees can sometimes be very expensive. An SBA loan is a type of business finance guaranteed by the U.S. Small Business Administration. An SBA-participating lender, which can be a bank or alternative lender, will finance the actual loan — the SBA guarantees the loan, which means they will pay back the lender in the event of default. SBA loans are a popular financing option, as they typically offer flexible terms up to 25 years and lower APRs compared to traditional bank loans. However, the SBA has stringent loan qualifications on top of the actual lender’s requirements, and the application process is lengthy. When you think “loan” you’re most likely thinking of a traditional loan from a bank. Bank loans are not as popular as they once were, especially for newly opened small businesses. Banks are leery of lending large sums to new businesses — those without a proven track record of profit and a positive credit history are unlikely to be approved. 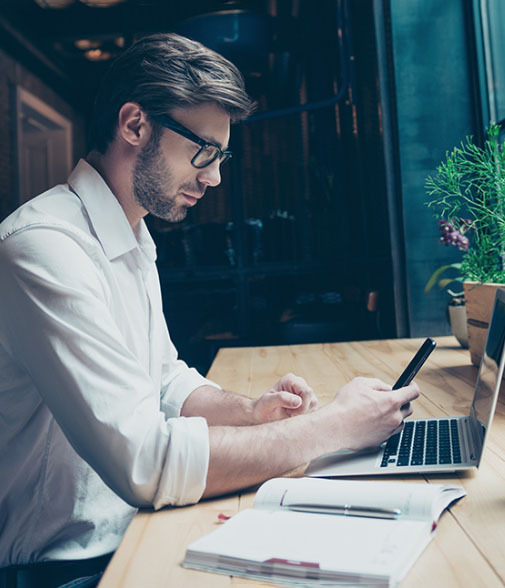 If, however, you’re an established small business owner, a traditional bank loan can typically offer a larger financing amount than other funding options. Designated small business credit cards tend to have tailored features ideal for small business spending, including higher credit limits, no annual fees and flexible cash back rewards. Many of the most popular business credit cards also offer specific business rewards programs, something you can’t necessarily get with other types of business financing. 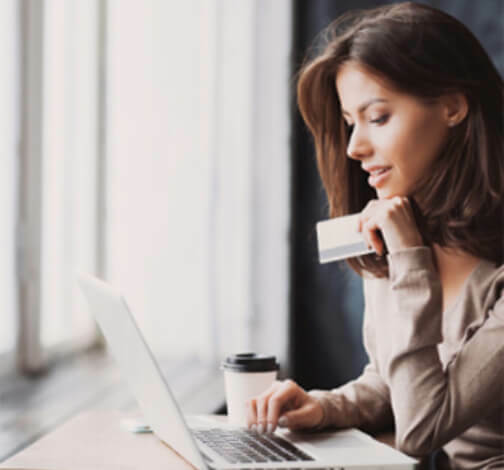 Using a small business credit card, as opposed to a personal credit card, can also help you build up your business’s credit history — some credit card companies offer cards designed specifically to build business credit. You can always turn to family and friends to raise investments, but doing so comes with its own set of risks — including putting a strain on these personal relationships. There’s also a temptation to ask for money before creating a formal business plan or determining when the “lenders” will see their money back. You would need to consider if the money you’re asking for would be a straightforward loan, an exchange for equity or another kind of investment benefit. Online alternaive lenders are an attractive and popular financing option for many small business owners. A large percentage of these lenders offer fundings meant specifically for small businesses, such as small business loans and lines of credit, and they often have less stringent requirements for approval — it makes it much easier for newly opened small businesses to get the working capital they need. 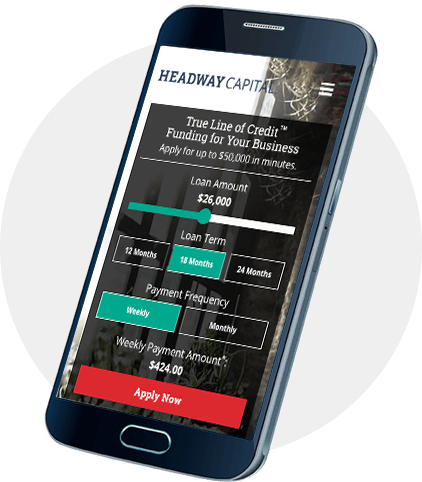 Headway Capital is an online alternative lender that offers small business financing up to $100,000. Our business line of credit provides 24/7 access to funds, perfect for any business owner who needs immediate access to cash, and once approved, you can have funds delivered to your bank account in as little as one day. Headway Capital offers small businesses access to a revolving line of credit they can use to finance funding needs big and small. If you're interested, you can apply and see if you're eligible today.